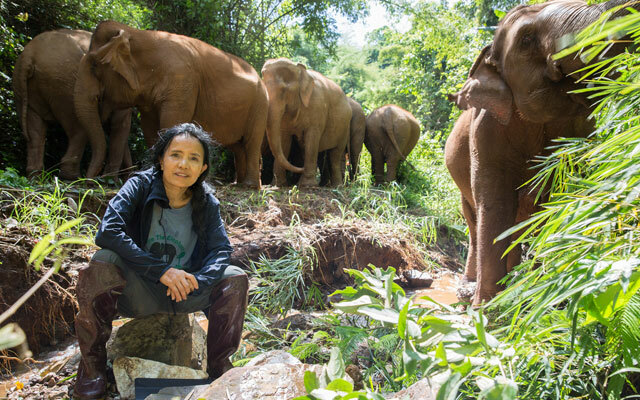 A new ecotourism event, Elephant Travel Mart 2018, is aiming to bring together ethical elephant tour operators and tour agencies in Chiang Mai on December 14. The event, taking place at Khum Kan Toke, Chiang Mai, is jointly hosted by Save Elephant Foundation and Asian Elephant Projects. Elephant tourism has long been associated with Thailand by travellers from around the globe and helps to attract millions of visitors to the country each year. However, there has been a growing trend away from traditional forms of elephant tourism (such as elephant riding and circus shows) towards ethical elephant tours offering programmes that are sustainable and make the well-being of elephants a priority. A key goal of Elephant Travel Mart 2018 is to provide a venue for people to gather and discuss how the travel industry can continue to adapt to respond to this trend and better meet the shifting demands of travellers.